MCL Land’s much-anticipated project in the east is the 1,399-unit Parc Esta luxury condo. 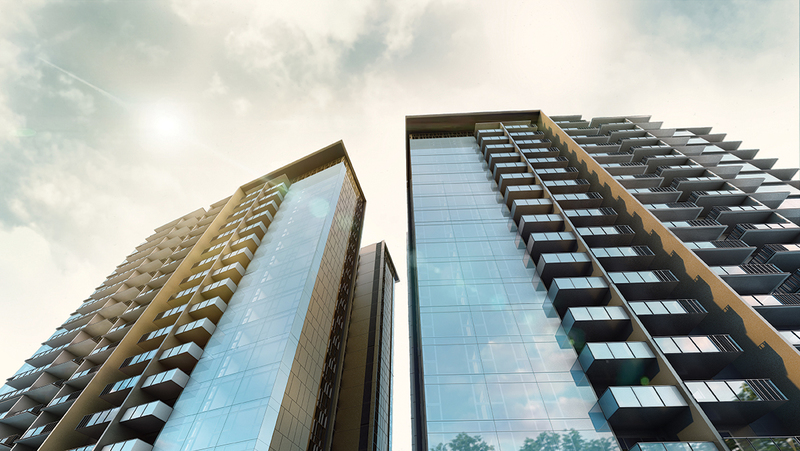 Located at the doorstep of Eunos MRT station, the project offers luxury residences within with easy access to the CBD and the upcoming commercial hub at Paya Lebar Central. The award-winning architectural firm P&T Group is the design architect and Ecoplan Asia is the landscape architect for Parc Esta. Hongkong-based PTang Studio, a multiple award-winning interior designer, was chosen to design the show suites. 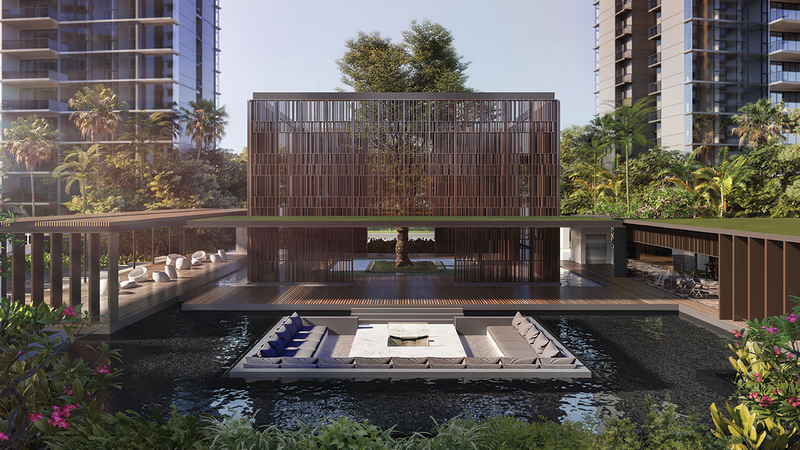 Perched on a sweeping estate of about 377,000 sq ft, Parc Esta is the new residential landmark in the east. The 18-storey towers are designed with full-height glass exteriors to maximise stunning views of the surroundings. Each of the nine residential towers is crowned with a lantern-inspired feature that stands out against the skyline. 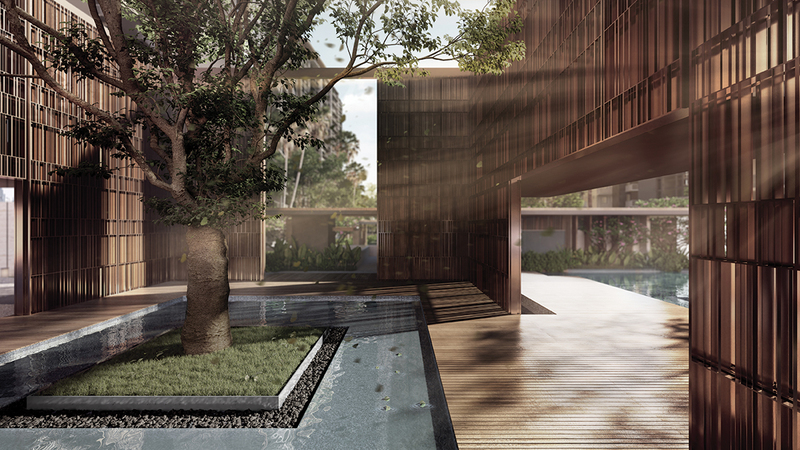 Almost three quarters of the sprawling site is dedicated to landscaping and facilities. The site has been divided into three distinct realms: Grand Parc in the centre, flanked by West Parc and East Parc. Parc Esta will stand out for its glass facade, stretching across all nine towers of 18 storeys in height. Residents of Parc Esta will feel like they are coming home to a luxury tropical resort every day as they are welcomed at the entrance by the calm waters and bespoke lights of the Lantern Isle. From there, they will enter the grand foyer and the expansive Arrival Court. This in turn brings them to the Majestic Tree Atrium, the heart of Grand Parc: It features a reflective pond and sunken lounge. Covered walkways lead to the Atrium Lounge, Garden Lounge and Koi Pond Lounge. Grand Parc features the “architectural centerpiece” of the development, which MCL has coined the “Majestic Tree Atrium”.